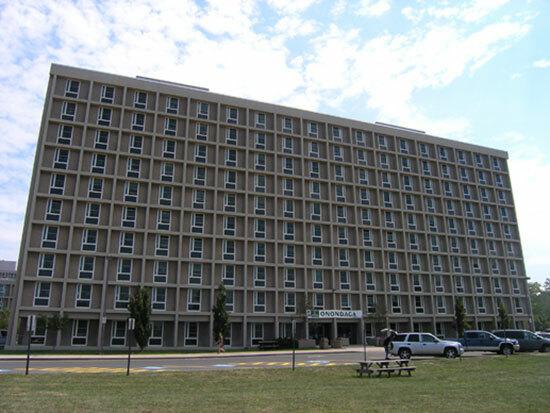 Onondaga Hall is a 600 resident co-ed hall. 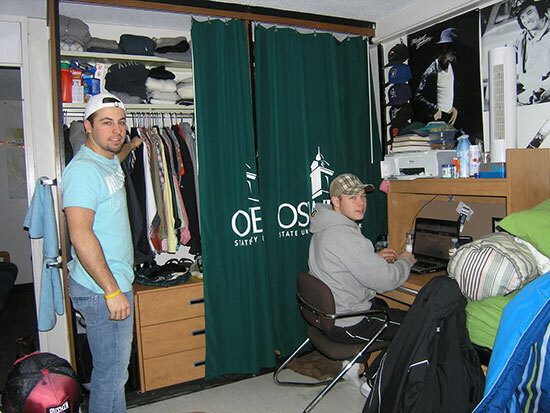 The only suite-style residence hall at Oswego State, this living option is available to upper-class students only. 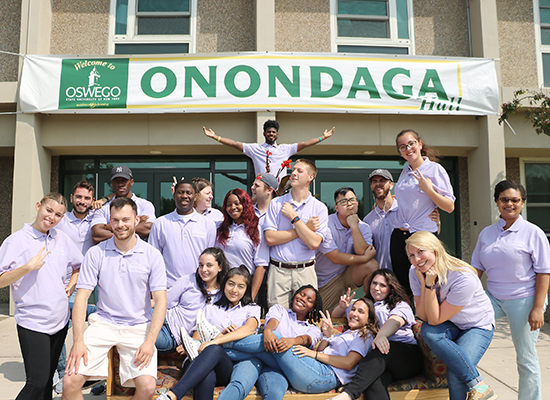 Onondaga's unique setup is particularly attractive for students desiring to live with a group of friends. Suites are designed for six residents. Each suite has three bedrooms, a common living area, and a bathroom. Lounge furniture, including couches, tables, and chairs, is provided. Onondaga Hall has tunnel access to Littlepage Dining Center and Glimmerglass Fitness Center. The spacious basement lounge is adjacent to a kitchen and the laundry room. Overlooks Lake Ontario and Glimmerglass Lagoon. 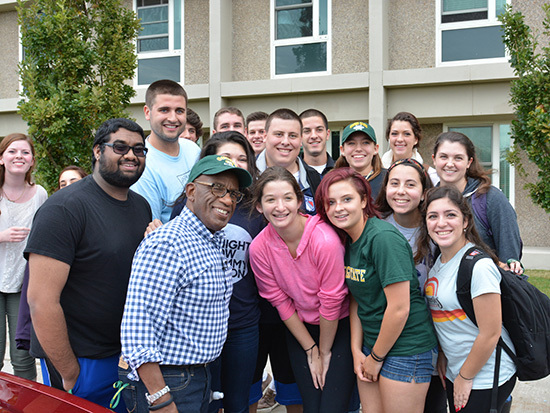 Residents of Onondaga Hall are offered educational and social programming catered to the upper class residents. The building also has a Front Desk open from 10:00 a.m. to 3:00 a.m. everyday. Staffed by on-campus residents, students can rent DVD's, games, vacuums, and retrieve mail and packages. Onondaga Hall also has an entertainment room with a pool table, foosball table, ping pong, and large screen television for movies and games.